We recommend LHV for our clients mainly because we have a seamless integration with them, meaning we’re able to receive your transaction data automatically without any additional input from your side. With other banks, receiving your transaction data is more complicated and often involves direct communication and manual input from your side. Another bank account (besides LHV) is required if you need to conduct US dollar payments, and PayPal doesn’t fit your needs. As LHV doesn’t currently support payments in dollars, you may wish to open a second account with another bank or payment service provider supporting them. 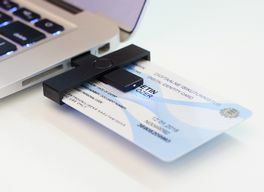 Please keep in mind that opening a bank account in Estonia with other banks is extremely complicated and they rarely accept e-residents as their clients. We're also unable to help you with opening a bank account in other Estonian banks. If you decide to open another business bank account, please notify us at support@leapin.eu, as for tax purposes we always need to be aware of your business transactions.